On a visit to Washington, D.C. to discuss, among other things, the global war on terrorism, Malaysian Home Minister Datuk Seri Dr Ahmad Zahid Hamidi announced that authorities in his home nation would work with America’s FBI to secure their country from Islamic State recruitment. According to Malaysia’s The Star, Dr Ahmad Zahid announced that Malaysia would officially work with American authorities to identify threats in the nation, recruitment projects, and other activities organized by the Islamic State. “The ministry and FBI will combat this menace together. This will be a continuous cooperation on both sides that has been forged since 1975,” he explained to the newspaper, adding in later statements that such cooperation would need to occur in almost every facet of law enforcement. “This cooperation will be extended to preventing trans-border crime through a memorandum of understanding, which was signed in 2012 in Putrajaya,” Zahid said at an event in D.C. this week. The announcement of a new collaboration with the FBI follows signs of increasingly successful recruitment activity on the part of the Islamic State in the southeast Asian country. 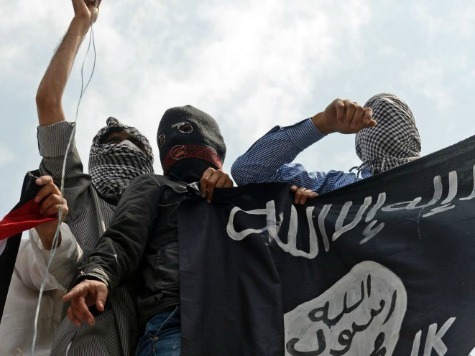 According to one report in Free Malaysia Today, authorities monitoring social media use in the country have noticed a spike in the number of profiles expressing open support for the Islamic State.